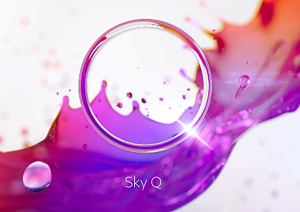 Sky Q is continuing the development of its premium TV platform by adding even more features in late 2017. The latest addition is voice control, which is an extension to the system’s existing voice search capabilities. From 5 October, Sky is rolling out the ability to navigate directly to channels, play back recorded content and even control playback by holding down the microphone button and saying “play” “pause” or “skip 10 minutes”. The new favourites menu in Sky Q’s TV guide allowing the change, will appear following a software update being rolled out during October. With the change, users will be able to prioritise their favourite channels. Up to 99 channels can be added to this list, and although Sky Q will initially suggest favourite channels and their order, users can sort them in the way they want and allocate them numbers between 1 and 99, fitting underneath Sky’s normal channel number range, which starts at 101. The update should reach all Sky Q users by the end of October, and will also allow users to create their own favourite channels list, in much the same way as they could with the old Sky+ system. Sky Q will suggest 20 channels initially based on users viewing habits, making setup easier. The update comes after the addition of Dolby Atmos to Premier League football matches, enhancing the surround sound effect for owners of the appropriate hardware, and new “Watch from Start” facility, which allows subscribers to tune in part-way through a match and go back to the beginning, even they haven’t set it to record in the first place. Sky has also recently added a feature called “Key Moments”, which will highlight events like goals and place icons on the timeline so viewers can quickly skip from one important moment to the next without having to watch everything in between. And, in the biggest announcement of them all, Sky says it will be showing all 124 Premier League matches in Ultra HD.